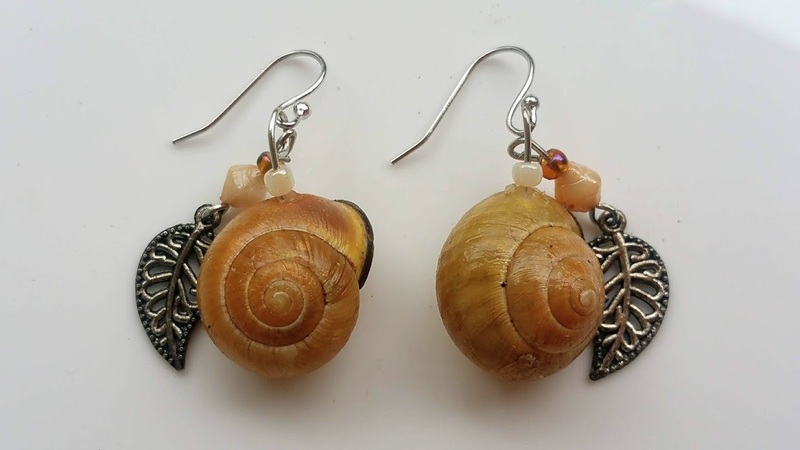 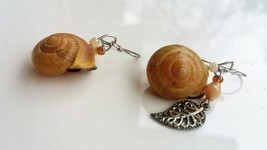 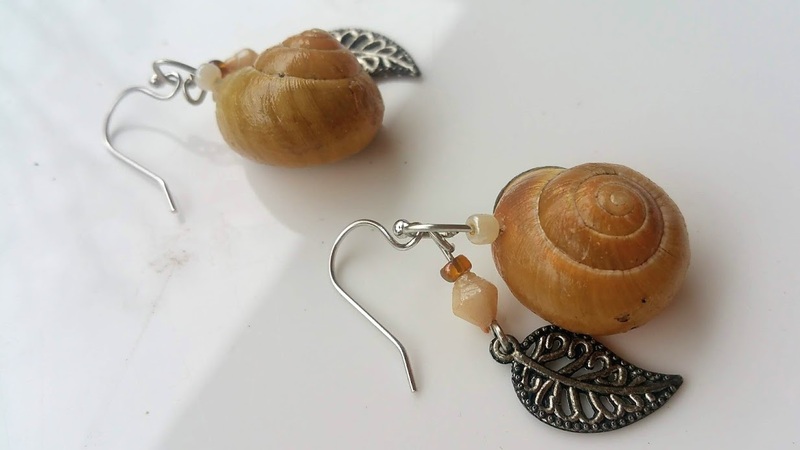 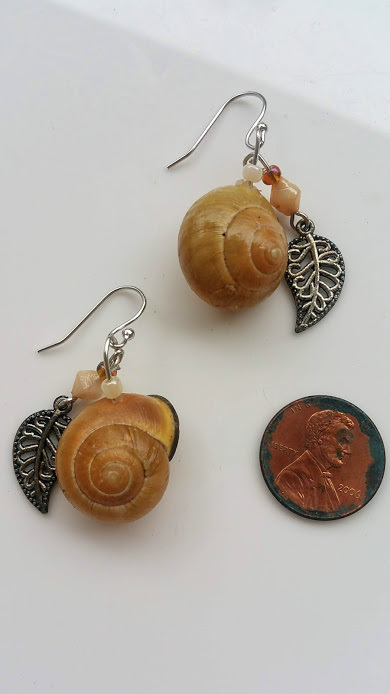 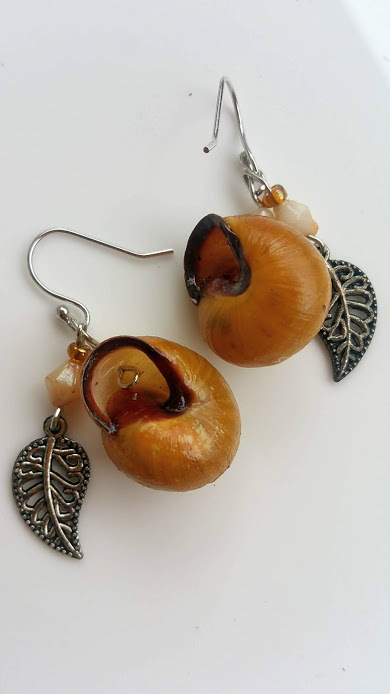 These authentic, neutral colored cepaea nemoralis snail shells were found by the wandering artist in the temperate forests near her home, sparking her curiosity and creativity. The delicate shells were carefully glossed and formed into beads then lovingly matched with beads and metal leaves to bring out the charms of the woodland. For centuries, these tiny creatures have added a little magic to our woods and waterways. 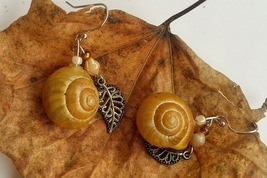 Now, they are brought forth so that we might adorn a little of nature's magic. 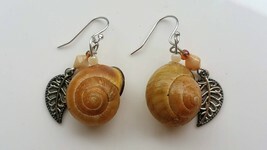 Part of the Snayl Collection.